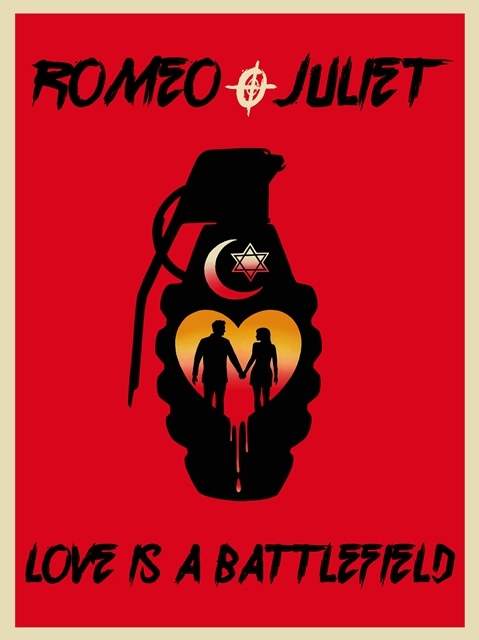 ROCKWELL Table and Stage announces the world premiere of an unbeatable couple, William Shakespeare and Pat Benatar, in the rock spectacle Romeo & Juliet: Love is a Battlefield, produced by Kate Pazakis, with musical direction by Brad Hooks, choreography by Chris Downey and written & directed by Bradley Bredeweg and Kelley Parker. Mixing the brilliance of Shakespeare with the anthemic, epic and timeless songs of Pat Benatar, this modern day musical twist on the beloved tale of two lovers will both move you to tears and make you want to move your feet to such classics as “We Belong,” “Heartbreaker,” “Invincible” and the title song. The cast will feature Rustin Cole Sailors as Romeo, Ashley Argota as Juliet, Jeffrey Todd as Tybalt, Joey Bybee as Mercutio, Jordan Kai Burnett as Benvolia, Jameson Moss as Friar, Nicci Claspell as the Nurse, Andrew Pirozzi as Paris, Peter Vogt as Father Capulet, Julie Garnye as Mother Montague and Anne Letscher. Previews begin on Valentine’s Day, Feb.14 (also 2/20 & 27) at 8:00 pm with a prix fixe dinner included. The show will open on Friday, Feb. 27 and run through March 28.